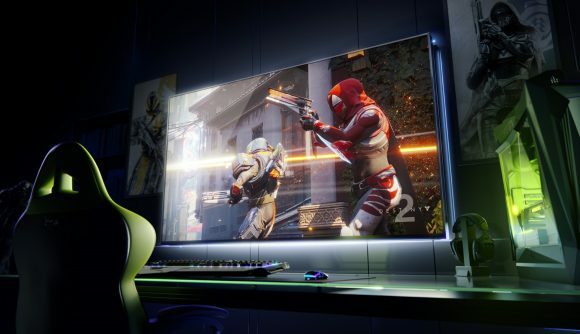 With a fresh generation of graphics cards promising great performance at absurd resolutions, you might think that PC gamers are largely ready to move beyond 1080p. But according to the latest Steam Hardware Survey, 1440p and 4K are the domain of only a tiny fraction of players – the vast majority play at 1080p, and many more play at even less than that. 1920 x 1080 is the primary display resolution for over 62% of Steam users. That’s not surprising on its own, but over 30% game at even lower pixel counts. The second most popular resolution is the budget laptop-friendly 1366 x 768, accounting for over 13% of users. The results suggest power gamers are far from the majority on Steam. Statistically, developers are better off supporting a resolution like 1366 x 768 rather than those high-end 1440p G-Sync displays that make up the best gaming monitors – though ideally we’d get both. You can find more fun stats in the full September survey. Of note for the hardware wars is that Nvidia and Intel continue to dominate their respective markets. The current most popular GPU is the GTX 1060, which accounts for nearly 14% of users. It’s certainly a nice card for those immensely popular sub-1080p resolutions.